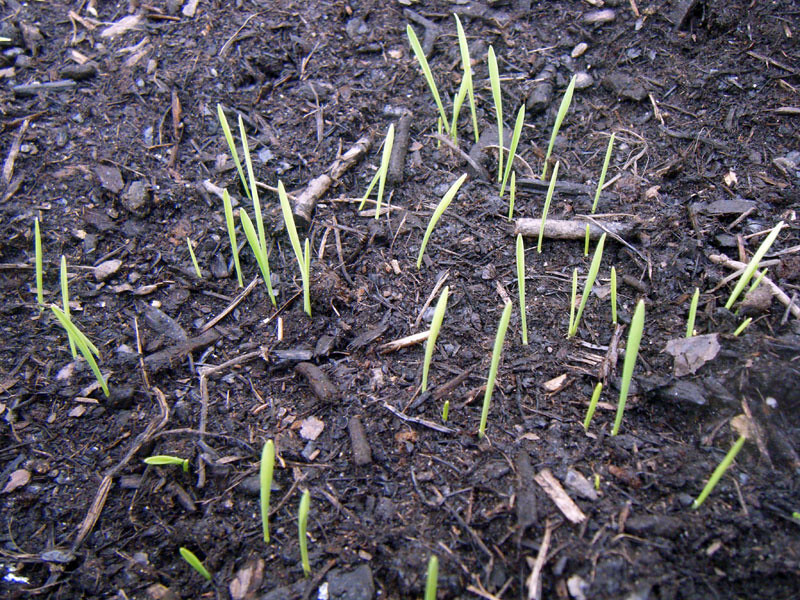 Here is the garden 2 weeks old. 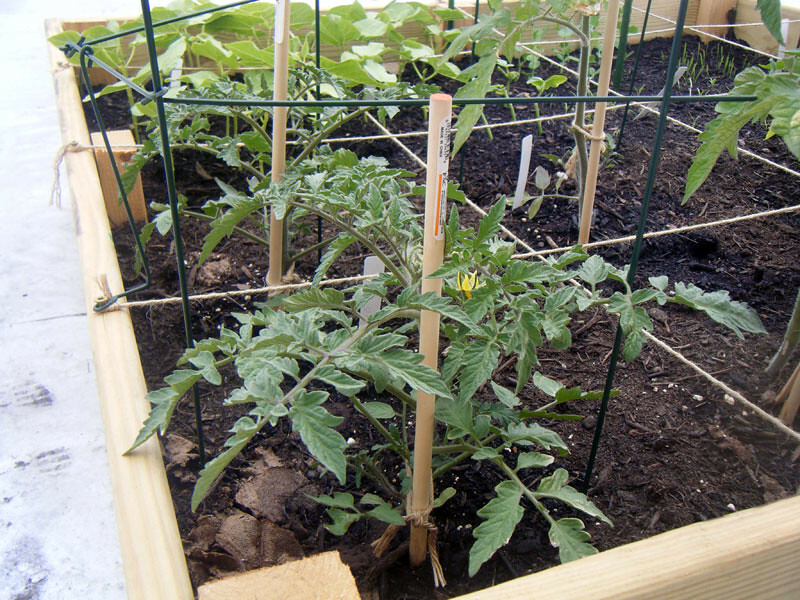 We put up a tomato cage to help the tomatoes and peppers. 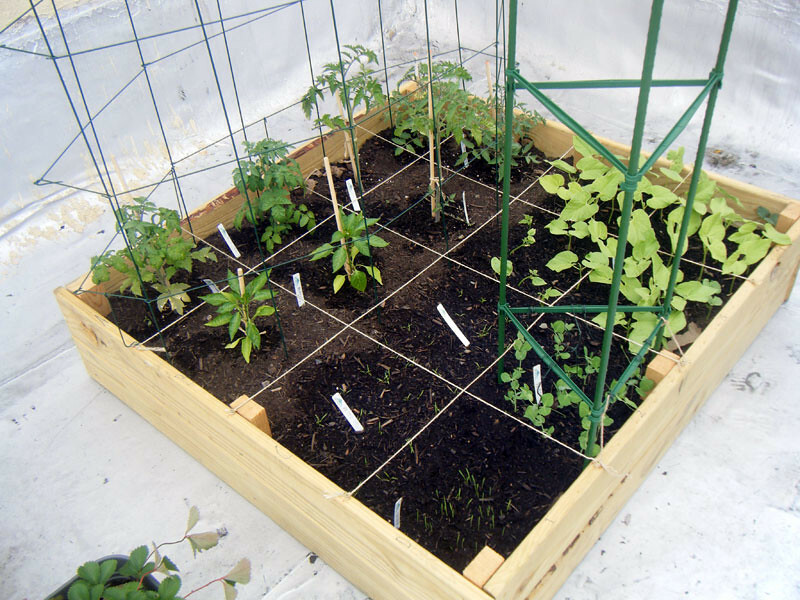 We also put up a trellis to assist the peas. The beans are doing so great! 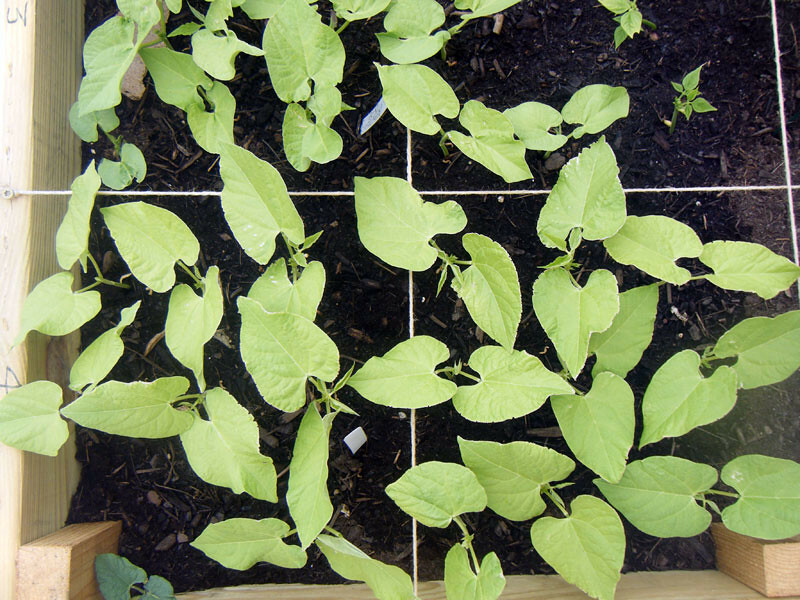 We just planted 5 more squares of beans this weekend too. The tomato plant that resides in A-4 is really starting to get big and bushy. 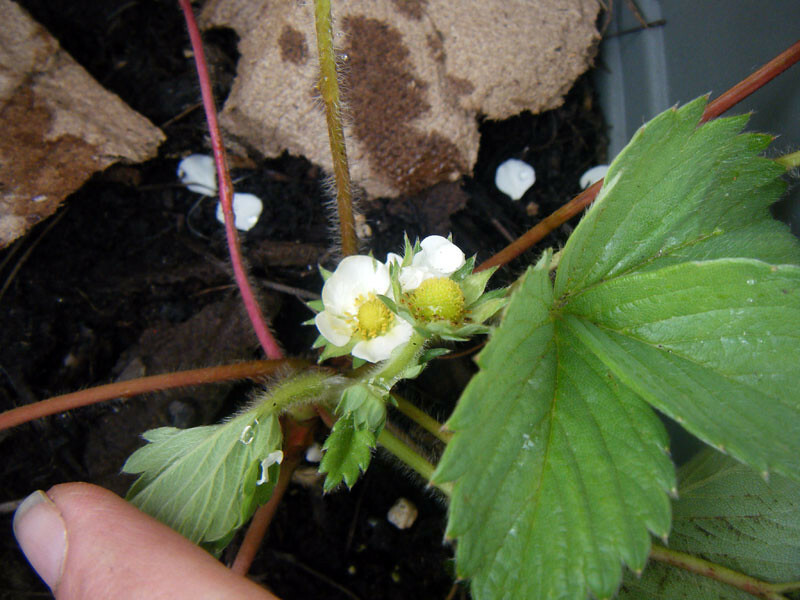 The flowers of the strawberry plants, so excited! We changed the catnip to catgrass and that has started to grow, Essy loves it so it will probably get cut often and more planted.. gotta keep her belly full! 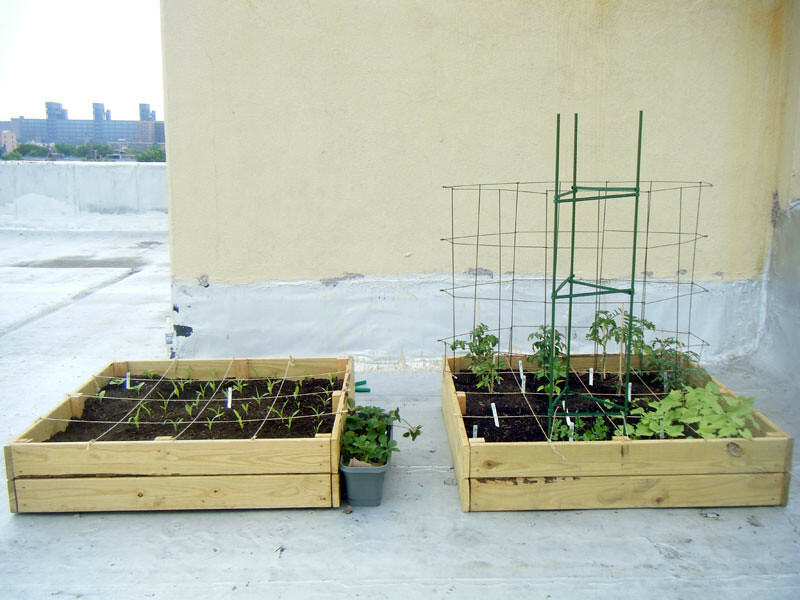 This entry was posted in Garden, NYC by Meowzas. Bookmark the permalink.